Will Bitcoin and Ethereum drop again? 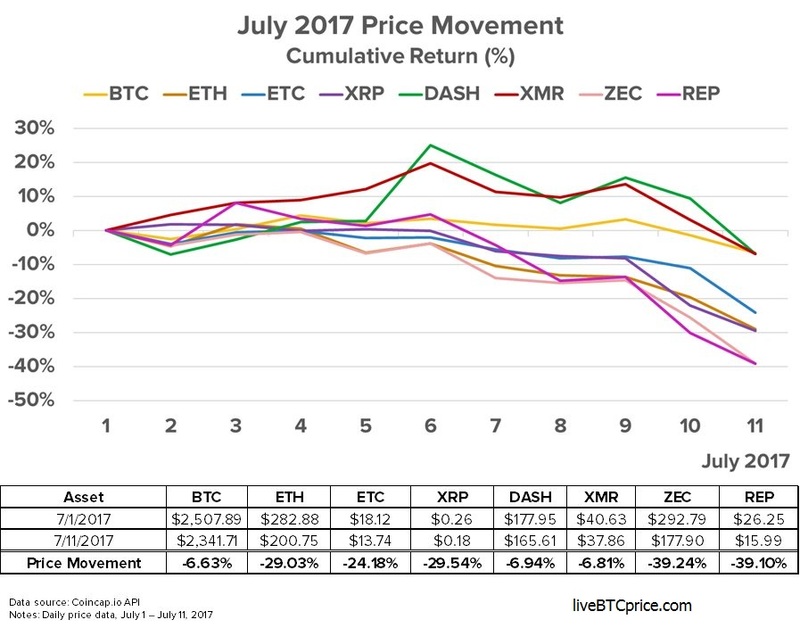 Bitcoin and Ethereum down over 20% for July 2017. Is this the last one? The great digital currency bull run of 2017 came to a screeching halt in early June. Shortly after hitting all-time high bitcoin broke 3000 dollars and Ethereum nudged $400 the party ended, and cryptocurrencies of all stripes plunged. The picture of crypto moneys is even less pretty as most types of digital currency are firmly in bear territory since July began. How bad is it? Alex Sunnarborg, a researcher at Coindesk, tweeted a helpful chart that shows the respective declines for bitcoin and other currencies since the start of the month. As you can see, bitcoin did not fare as badly as some of its smaller rivals. The original digital currency is down around 6.5% while Ether, the cryptocurrency associated with the decentralized computing network Ethereum, is down 29%. Ripple dropped a brutal 39%. The average overall decline is approximately 22.7 %, though it's important to note some of these currencies are relative minnows. The market cap of bitcoin, the sector's undisputed heavyweight, is currently around $40 billion while that of Dash is $1.3 billion. All of this raises the question of what is driving the decline and whether the prices have bottomed out. Unlike earlier price jolts in the famously volatile digital currency market, there has been no obvious external shock—a major hacking incident or a regulatory crackdown—to explain the current decline. As such, the dismal July may simply represent the deflating of a bubble inflated by lots of Johnny-come-lately speculators who rushed into the market in May and June. Now, some are suggesting that, in the case of Ethereum, the market has already hit bottom. And indeed, in the past few days, the price of Ethereum has started nudging upward again, suggesting the prediction is right. On Wednesday, the currency had risen to around $220 from Tuesday's low of $192. On the other hand, when it comes to bitcoin and Ethereum, it feels like anything can-and does-happen. If you're a skeptic, you can take account of remarks this week by the chairman of BlackRock who called price charts related to blockchain-based companies "scary" and said bitcoin and Ethereum are in a bubble. 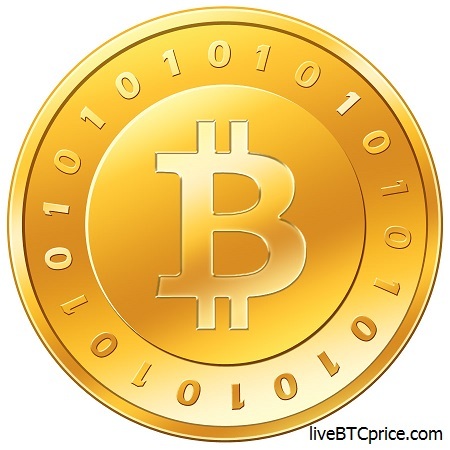 Conversely, you can look to recent good news such as the IRS's decision to scale back Coinbase audits, and the lofty price targets set by Goldman Sachs, to think the crypto party is set to start all over again.The only safe bet at this point is that cryptocurrency will continue to be a wild ride for investors for the foreseeable future.